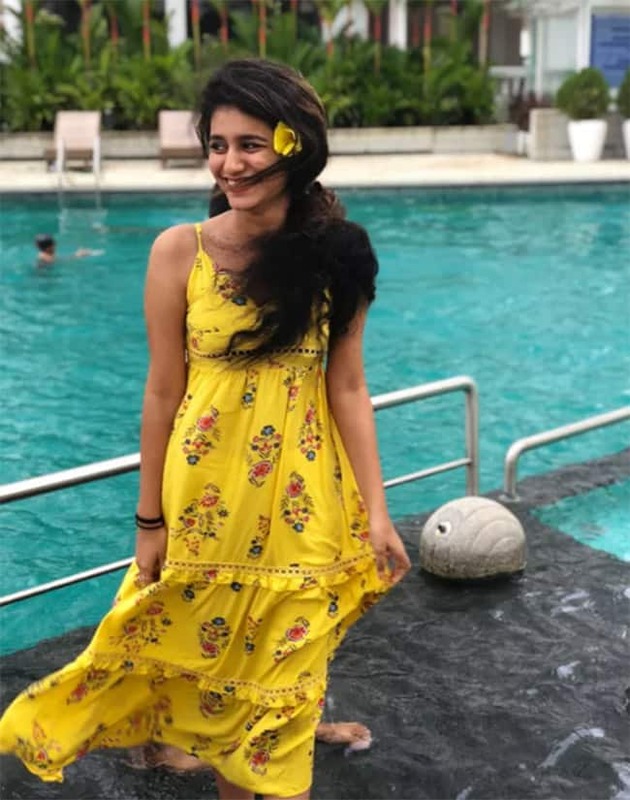 Priya Prakash Varrier is gradually becoming a fashion icon of sorts. 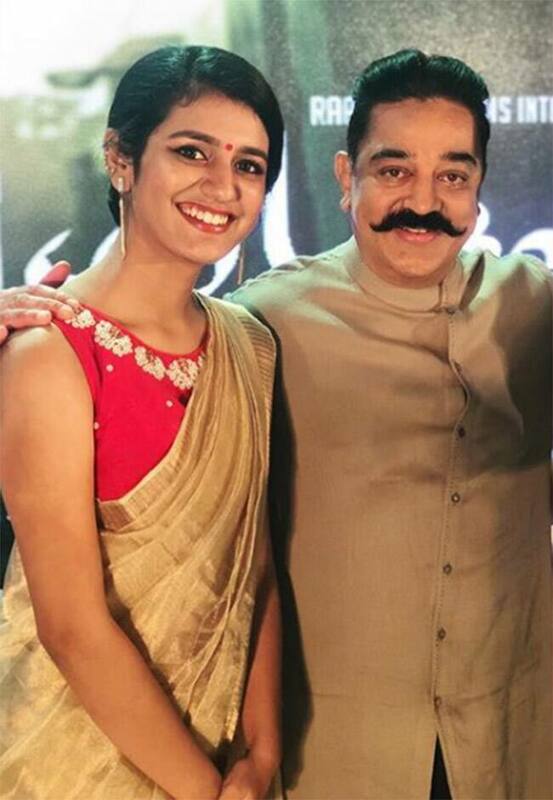 The pretty young girl, who has won Indian internet users by her adorable expressions, took to Instagram to share photographs taken at the launch of Viswaroopam 2. In the pictures shared by Priya, she is looking elegant in golden saree with hot red blouse which goes with her bun and it looks gorgeous. She has also accessorized her look with danglers and red bindi. 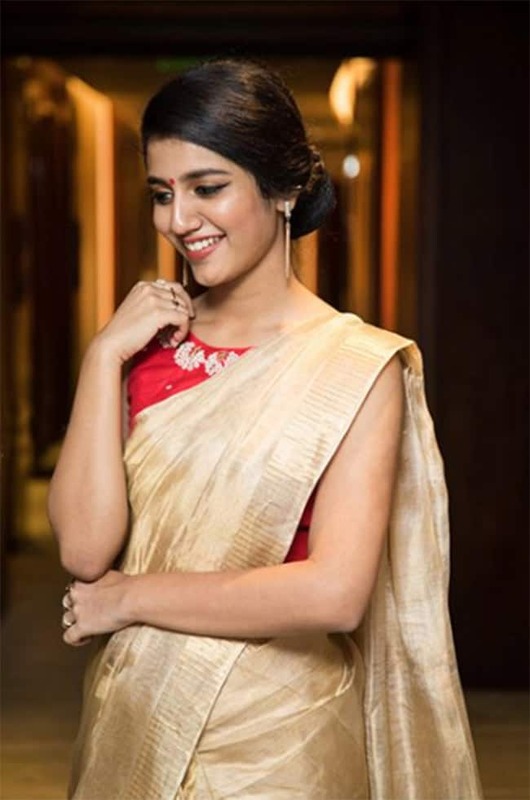 Priya Prakash Varrier's dream almost came true when she recently met most of her favourite actors. The actress, who shot to national limelight with her wink, had the opportunity to greet Kamal Haasan and big names from Mollywood. The actress of Oru Adaar Love shared her excitement on her Instagram account. 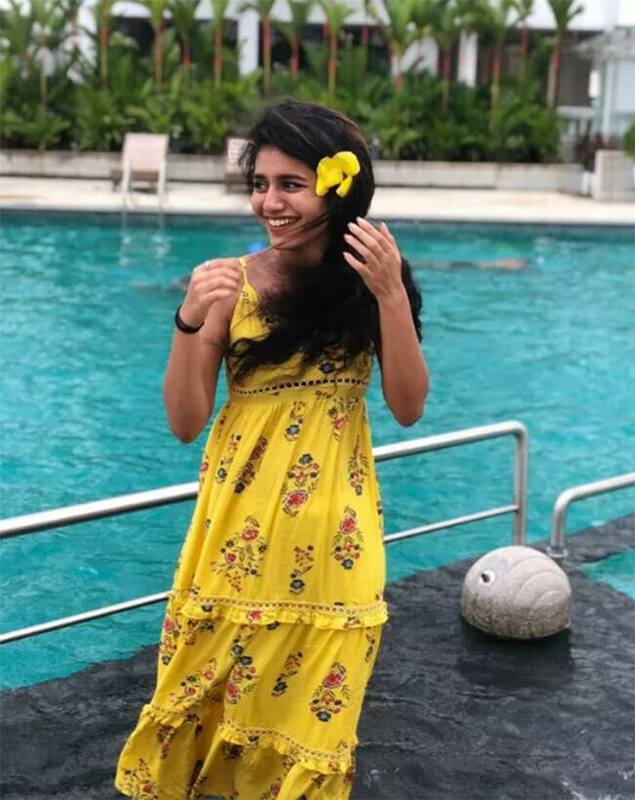 Priya Prakash Varrier and her popular wink took us by storm earlier this year. And now, the internet sensation is again the subject of our admiration thanks to this gorgeous yellow sundress. Not to mention the winged eyeliner that's totally on fleek. A strappy floral midi dress, a yellow flower as a hair accessory, and an eyeliner matching the blue of the pool - yes, looking resort-ready is that easy. That flower, though! It's all the statement you need to nail your OOTD.